I love nothing better than to read a suspense novel that keeps me guessing until the end. Here are three that I've read recently that are well written and full of twists and turns. February 2018; Henry Holt & Co. 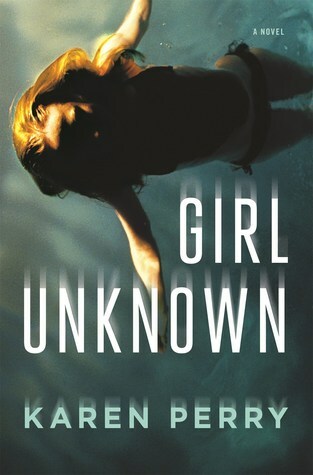 Girl Unknown is a page-turner suspense novel that will keep you turning pages until the end. It's the first book that I've read by this author but definitely won't be the last. David and Caroline appear to be a successful young family. David is a college professor, Caroline has just gone back to work in advertising and they have two children. When everything changes, the cracks start to develop in their marriage and their family and its unsure whether they will survive. The change is brought about by Zoe, a student in one of David's classes who tells him one day that she thinks she is his daughter - someone he never knew existed. He wants to get to know her better and after a few meetings with his family, he invites her to live with them. His wife is very unsettled by this new addition and doesn't know whether to trust her. As the happy family of 4 becomes a family of 5, will the new addition make them stronger or tear them apart? The story was intriguing and suspenseful but I really didn't like any of the main characters - especially David and Caroline - they were well written but both very weak people. I can overlook my dislike of them and still say this is definitely a book worth reading. 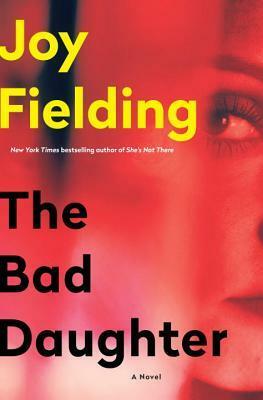 The Bad Daughter is my second book by Joy Fielding (read my review of She's Not There) and I enjoyed it so much that I plan to order some of her earlier books. It was a real page-turner with great characters and a suspenseful storyline. The main character is Robin, a psychologist who has been estranged from her family for many years since the death of her mother. She left home when her father, a real womanizer during his marriage, marries her best friend. So her estranged family consists of her dad, his wife and her 12-year-old daughter from a previous marriage, her sister Melanie who lives next door to her dad with her grown autistic son. Robin is also engaged but feeling very unsure of her finance's love and commitment. 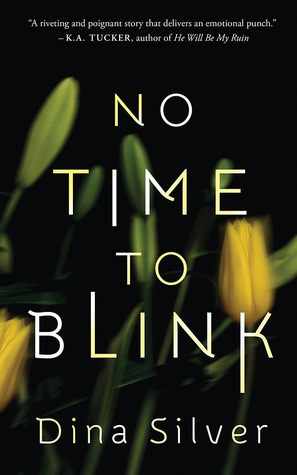 When she gets a phone call from her sister that their father, his wife, and daughter have all been shot, she races home to try to figure out what happened. As she tries to put together what happened, she uncovers lots of family secrets while she tries to get to the truth. I thought that Robin was a very likable character and I actually enjoyed her interactions with her sister despite the fact that Melanie always had a quick put down for her. I definitely enjoyed this book and thought it was a great suspense novel. Once I started this story about a mother and her daughter, I couldn't put it down. It was a fantastic and addictive read that asked the question - how far would you go to protect your children? The story is told in dual timelines by the mother and daughter as secrets are revealed and questions are answered about their pasts. Ann Marie is the mother of three sons and is in the midst of an ugly divorce with a cheating and vindictive husband. Her mother, Catherine, comes to help her out and has decided that she needs to share her earlier years with her daughter through the journals that she kept. When Catherine was in college, she fell in love with a businessman from Beirut, much to her rich parents' disapproval and ended up living in Beirut in the early 70s when her daughter was born. Her husband refused to allow her to see her family and locked up her passport so that she couldn't go back to America with her baby. I really don't want to tell any more about the plot so that readers can experience the tense times in Catherine and Ann Marie's lives. I highly recommend this book - once I started it, I didn't put it down until the end because I was so invested in the struggles in the story. This is definitely a profound story of the love between a mother and her child.